I popped into Lowe's this afternoon to pick up a replacement part to fix a leaky faucet (I'm such a DIYer... ehh, a lil bit). 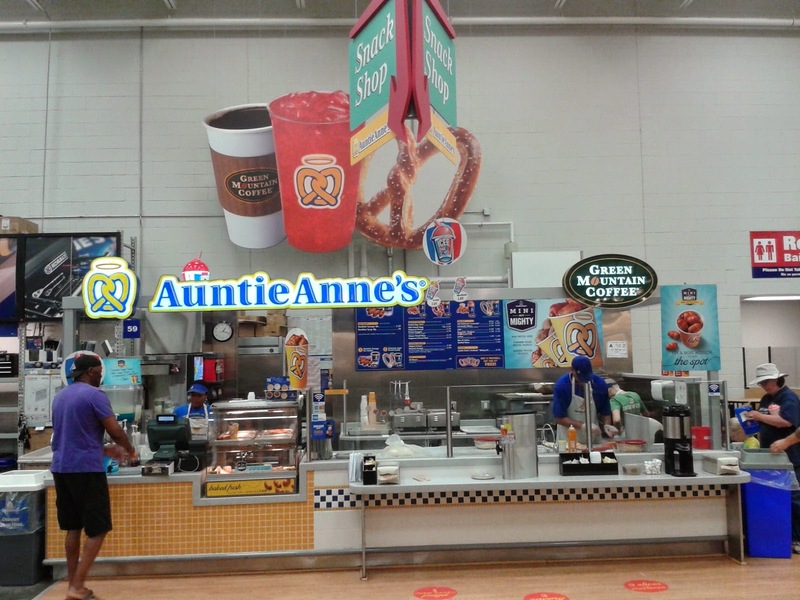 I visited the Lowe's store near Northlake Mall, and I was surprised to see an Auntie Anne's snack shop there. I think I actually smelled those delicious warm pretzels before my eyes focused on this unexpected display (this isn't the first time I've marveled at Lowe's advancements). In situations like this, I usually prod an employee to get more information, but I was in a bit of a hurry. So, sorry, I don't know when this Auntie Anne's opened here, but I'm pretty sure it's recently. 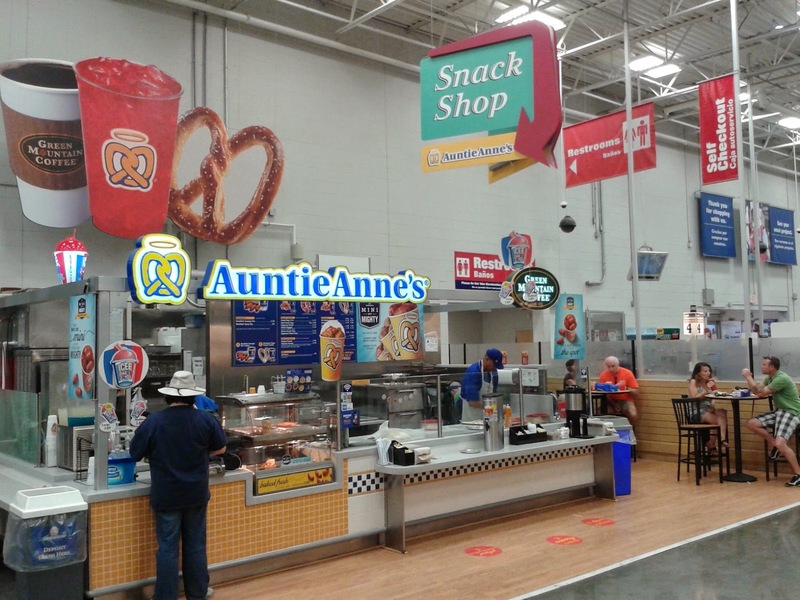 And I did some Googling just now but wasn't able to find any mention of other Lowe's store locations that have the pretzel shop (but there could be others). If this is a pilot program, it would make sense that it rolls out in a Charlotte store, since Lowe's is headquartered in nearby Mooresville. And it makes even more sense that the home improvement store would bring a hot food option on board. I imagine that a large number of the countless contractors and construction workers who make frequent trips to Lowe's are finding themselves enticed to stop and buy a famous pretzel or pretzel dog. Not to mention all the DIYers who'll be breaking bread. Happy 25th Birthday Cam Newton!